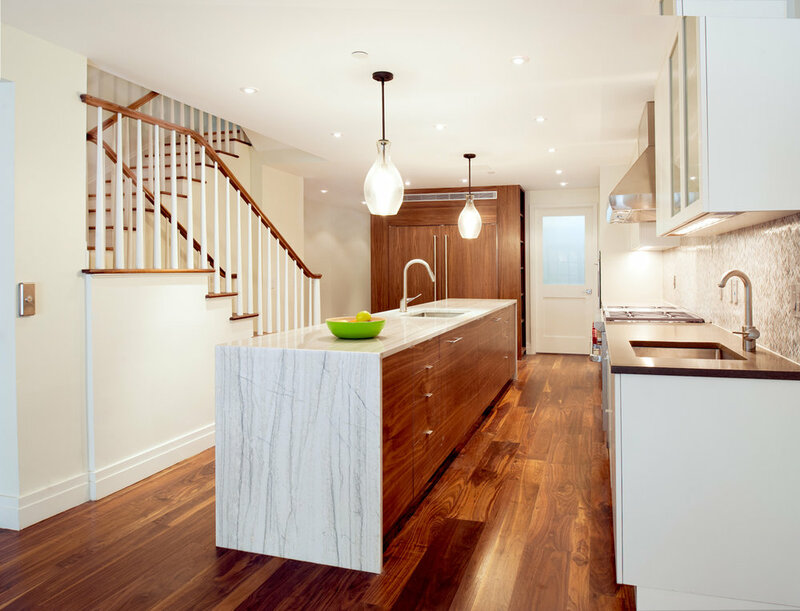 We built the kitchen, bath and hallway cabinetry for this stunning uptown home. 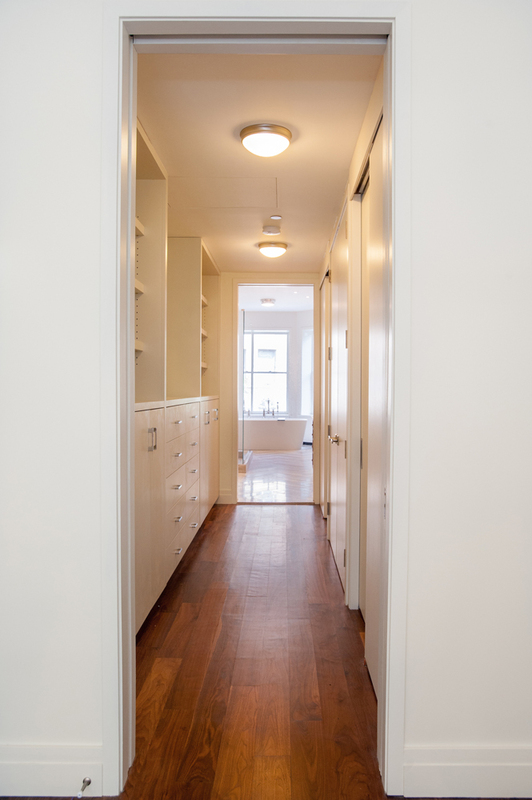 Warm walnut and painted white lacquer cabinetry. Expert installation by David Smolen at DRS Interiors. Great design and photos by Architect/Photographer Jim Metzger.